Sales of SG400 and SG800 have eclipsed those of the SG3110DN and SG7100DN because of the better ink yield, higher resolution, double throughput and much wider color gamut these printers deliver, not to mention all the additional value you get with CreativeStudio, Virtuoso Print Manager and Sawgrass support. As a result, Ricoh discontinued sales of the SG3110DN and SG7100DN in the United States last year and has stopped production of these models all together. These printers have gained enormous popularity for desktop sublimation over the past seven or eight years because of the quality of prints and the efficiency of production. When Ricoh partnered with Sawgrass to create the Virtuoso SG400 and SG800 printers – the next generation of these tried and true models – it became clear that new standard for sublimation printing had been reset. The second change is that Sawgrass is discontinuing PowerDriver and MacProfile. As of Jan. 1, this software will no longer be downloadable from the Sawgrass website. This is because Virtuoso Print Manager (VPM) delivers what both PowerDriver and MacProfile do separately, only in one single program and with better results. Since it will be difficult to impossible to purchase a Ricoh soon, they will also be unnecessary for production with new printers. We know that PowerDriver has a lot of loyal customers, and that’s a true testament to the value of the program. But Virtuoso Print Manger takes everything that is great about PowerDriver to the next level, and we are confident that everyone will soon be fans. 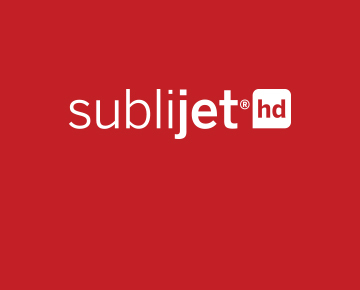 If you’re currently a Ricoh user, you will still be able to purchase SubliJet-R inks from your preferred reseller and receive product support from Sawgrass. If you do purchase a new Ricoh, contact Sawgrass support to help get set up. If you’ve been thinking of upgrading to a larger printer, adding another system to your shop or simply replacing an older model, you can take advantage of our current Trade Up promotion and get free ink with the purchase of a Virtuoso HD Product Decorating System. Doing so before Dec. 31 may also qualify your purchase for significant tax savings. If you currently have a Virtuoso printer and use PowerDriver for color and print management, download and install Virtuoso Print Manager. Then follow the configuration instructions for your preferred graphics software, available on the Getting Started page from which you’ll download your software. Sawgrass Technical Support can also help you install and use Virtuoso Print Manager. The discontinuation of these two Ricoh printers and PowerDriver marks the end of an era for the sublimation industry. Virtuoso HD Product Decorating Systems are leading us all into the future, and profitably so.